We were so in for Starbucks’s foray into unique drinks with the Unicorn Frappuccino. We are now just as excited for Arby’s creative and delicious-looking new beverage. Coming soon, Arby’s is introducing the Liger Shake. The Liger Shake. Let that sink in. Ligers are a hybrid between a lion and a tiger, in case you were unaware. Though many of us may associate the creature with Napoleon Dynamite, ligers have actually been around since the early 19th century, though the term was coined in 1930. 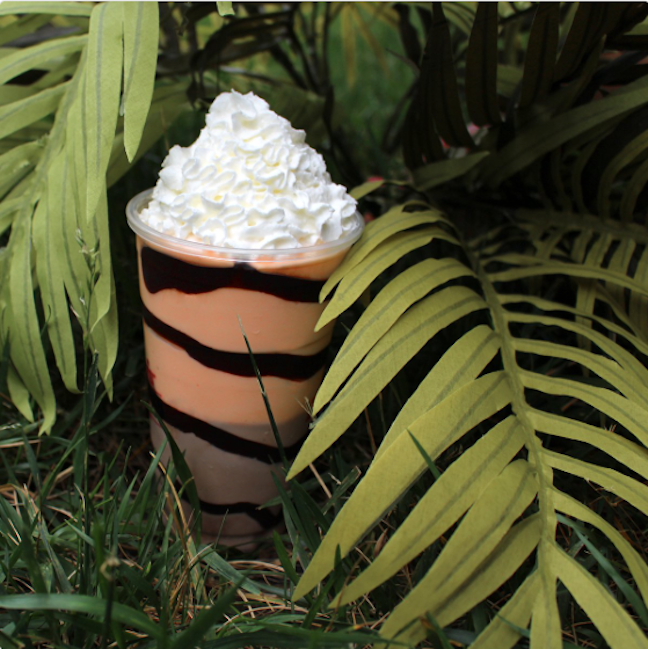 Arby’s Liger Shake is made with a base of orange and chocolate stripes. Made with a combination of the Ultimate Chocolate Shake and the Orange Cream Shake, the decadent treat is beautiful. If you love Ghirardelli chocolate and orange, this is your jam. In a statement about the new creation, the company said that they prefer their creatures to be real, not imaginary. "Well, Arby's loves unusual creatures too - but not the imaginary or docile kind. No, Arby's loves real, powerful creatures, which is why the restaurant is proud to announce the introduction of its latest shake: The Liger." We can’t help but think of the delicious chocolate orange break apart eggs that we find in our stockings on Christmas morning. If the Liger Shake tastes anything like that, we already love it. The Liger Shake is a limited edition treat. You can find it at your local Arby’s at the end of June. We can’t wait.